I’m one of those girls who has never thought much about the kind of dress I’m going to wear to my wedding one day. I’ve never tried one on and haven’t torn out pictures or catalogued designers…mostly because I know that most girls end up with something different than they picked out from the magazines. The shape of your figure and the shape of the dress are such huge determining factors, that until you try on dresses, you really just won’t know what looks great. So I don’t pay super close attention to wedding dresses (at least in terms of “shopping” for myself). If there was one dress and accessory designer I could adorn myself with, Johanna Johnson would be it. Are you ready for it? I DIE. Oh. my. goodness. I LOVE these dresses! And the hair pieces! Thanks for sharing! Can I wear that headband out to dinner? I’m already married. What do the fashion gods say about this? i think one of the biggest joys (and blessings) of being single is the ability to change your mind about what your future bride-to-be dress will look like just about every second of every day, but after seeing this designer, i think my mind has been made up a little more permanently 🙂 just beautiful. This is amazing! I’m getting married in 9 weeks and have been searching (to no avail) for accessories. Thank you for sharing! Oh my godddd! That first dress is absolute perfection! So ethereal and draped just beautifully. Oh my goodness, LOVE!! 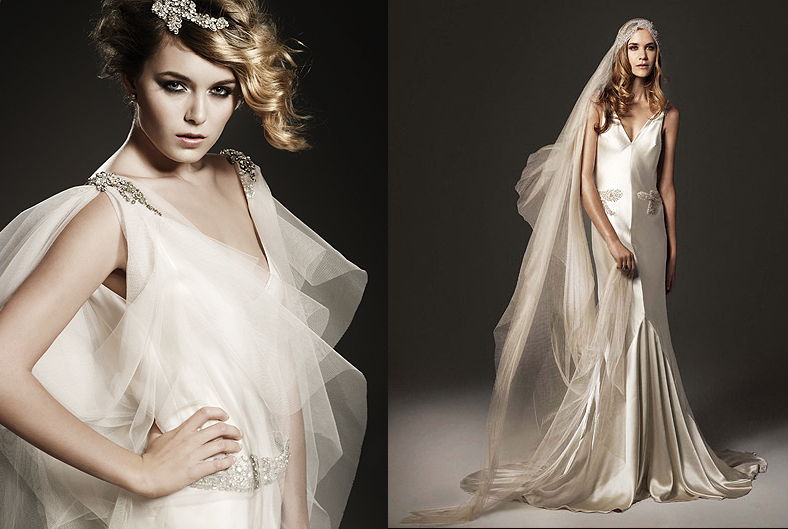 Both the dresses & the accessories are to die for.. the perfect blend of romantic & glam! Is there anyway to buy a dress without doing it by email or living in Australia? These dresses and accessories are amazing! I love the glam 50s look! Oh these are so delicious! I love the glamourous deco vibe….I’ve always loved anything cut on the the bias. And I would never have thought I’d like the look of a headscarf, but those are just sublime! They look like they belong on Garbo or Gardner. 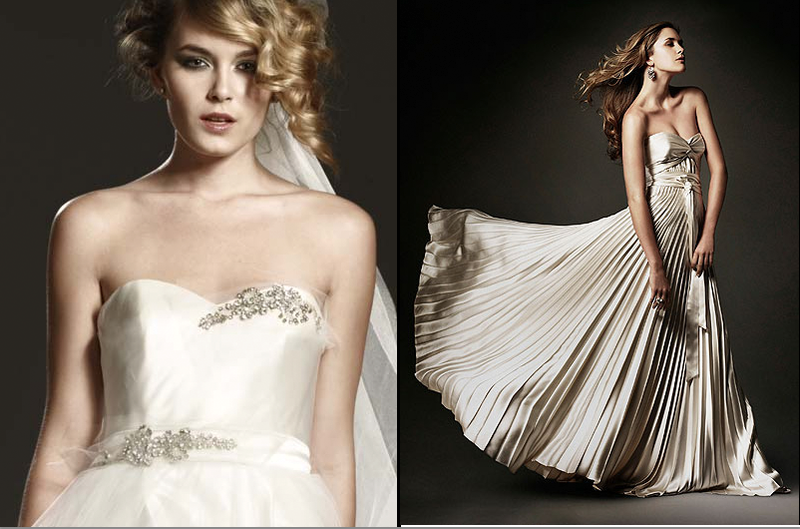 My favorite is definitely that second picture with the floaty overskirt….so feminine and romantic without being over the top, and just the right amount of vintage inspired sparkle! what level of coolness do you have to be at to rock a glittery bandanna or skullcap at your wedding? You’ve got to have an extremely high level of coolness. I’ll tell you that much. I mean, you’d have to be pretty sure you are the most awesome person on the plant, because the second you have even the slightest flinch of insecurity, everyone questions your bold move. Totally not sure. Johanna, girl. Give us the deets! We need to know how we can score a trunk show in the US! On another note, while I love the dresses – is MaeMae really invite only now? I was able to look at it yesterday and thought everything was beautiful, then suddenly today it says it is an invite only blog…boooo! I wonder if that’s a mistake. I just emailed her! We’ll get it fixed!! Hey Shelby! Just got word from MaeMae. She’s doing a little redesign on the blog. It’ll be back up by Monday! Whew. That was a scary one! Not sure what we’ll do until then, but I think we can make it! 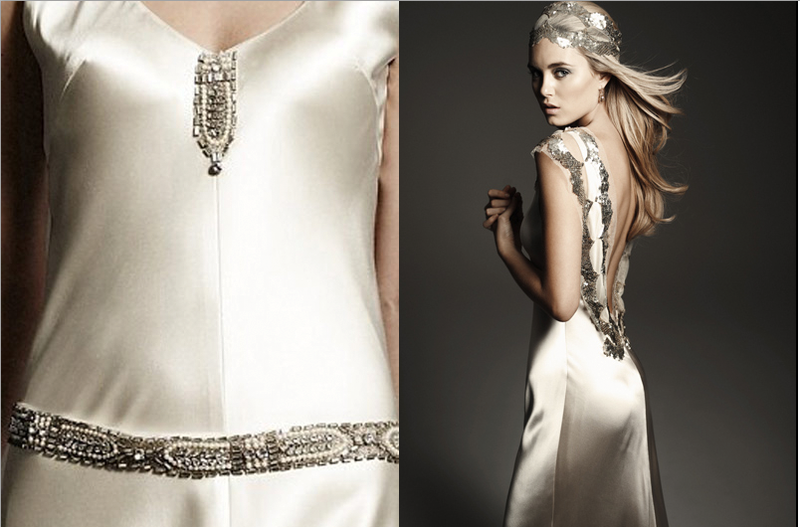 I was married recently and wore a gorgeous Johanna Johnson Dress – ‘The Vivienne’ http://www.johannajohnson.com/. I absolutely loved it. I now would like to sell the dress, so if you would like a beautiful designer dress at a bargain price just let me know. There are photos on the website but I can send you more taken from every angle.